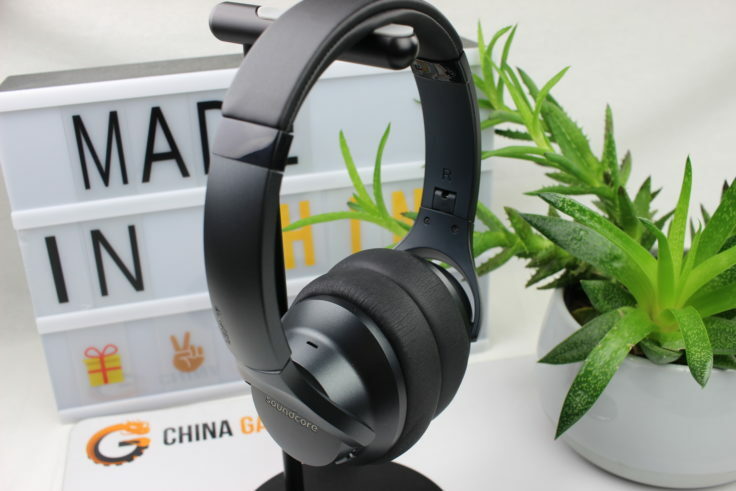 The market for ANC headphones is booming, and with the Soundcore Life 2, Anker is now also throwing its hat into the ring as one of the larger Chinese manufacturers. No ANC of a China headphone can compete with the flagship models of the big manufacturers, such as the Bose QC35 or the Sony WH-1000XM3. Does this change with the Anker Soundcore Life 2? I can’t say much about packaging in this case, because the headphones were actually brought to us from Shenzen and were taken out of their packaging due to lack of space.😀 However, the Anker Soundcore Life 2 Over-Ear headphones are equipped with a carrying bag that also contains the remaining accessories. In addition to a user manual (which also had to remain in China), this includes a Micro-USB charging cable and a 120 cm long jack cable for wired use. 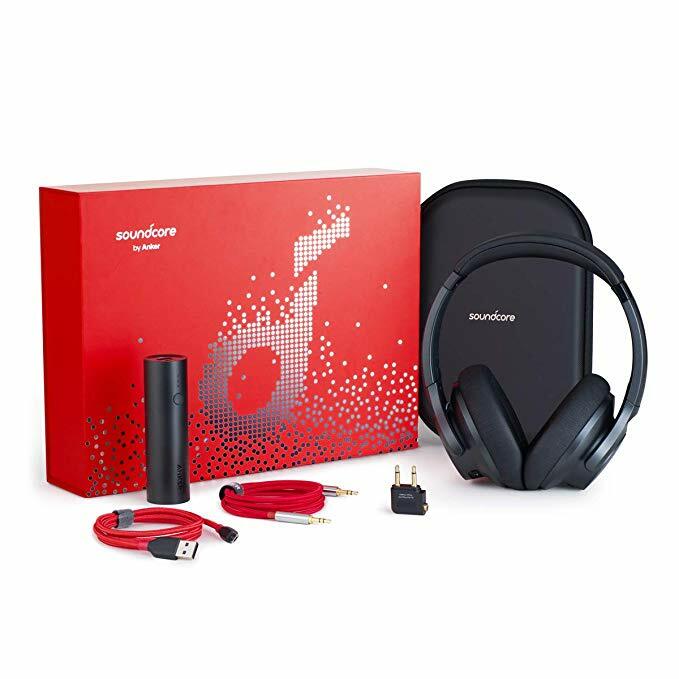 There is a special Christmas Edition at the moment which includes the Soundcore Life 2, Anker PowerCore 5000, Anker PowerLine+ Micro USB cable, Anker Premium AUX cable, Airplane Adaptor and a travel case. The headphones themselves are in plain black. Apart from the extendable part of the headband, the Soundcore Life 2 ANC Over-Ear anchor is made of plastic. The headphones can be rotated so that they adapt individually to the shape of the head. They can also be folded up to take up as little storage space as possible. The ear cushions are equipped with a very soft and formable memory foam, which is covered with artificial leather. The transport box measures 22.5 x 16.5 cm. The headphones weigh a total of 263.5 g, and the headband can be extended by 3.6 cm per side – a comparatively large amount! As usual from Anker, the headphones are all in all very well manufactured and have no material or production defects. As already mentioned, the headphones of the Anker Soundcore Life 2 Over-Ear headphones are equipped with a very soft memory foam. In the test, this ensures a pleasant wearing comfort on the ear and also provides solid protection against noise. The headphones are also suitable for people who wear glasses; in my case, the headphones did not press too hard against the temples of the glasses. The headphones themselves are also coated with the memory foam, but a bit thinner than the rest of the headphones. Thanks to the exceptional length of the headband, if the extension is fully extended, the headphones should in principle fit on any head. Inside the Anker Soundcore Life 2, a dynamic driver with a diameter of 40 mm beats on each side. 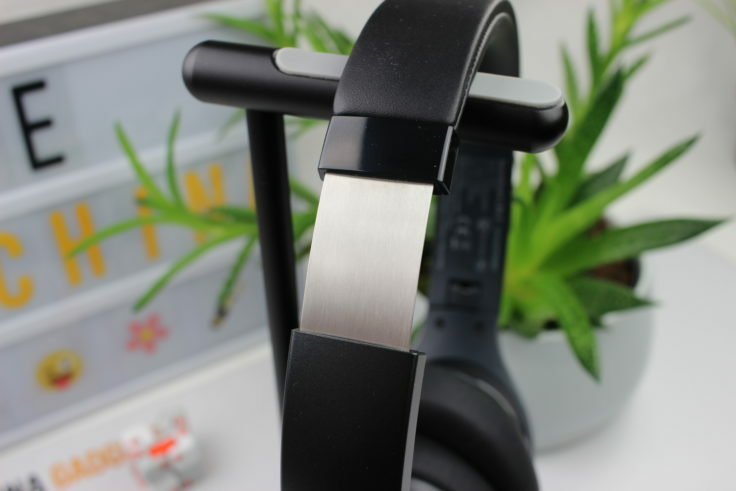 The headphones are Hi-Res Audio certified and are supposed to convince with crystal clear sound and distortion-free sound profile. During the tests I first noticed the powerful bass and subbass, which thanks to “BassUp-Mode” only really comes into its own when you want to. I also like the headphones in the tweeter and midrange range, they offer a balanced sound overall, with solid highs and a strong midrange. Unfortunately, the sound changes audibly when you switch on the ANC of the Anker Soundcore Life 2. Is the Active Noise Cancelling any good? The ANC goes at the expense of the midtone. I wouldn’t say that the sound is worse, but different. While the midrange is very present without ANC, ANC gives it a significant damper. Anker probably lacks technical experience in this field, because in the best case the sound should not be changed by the ANC. 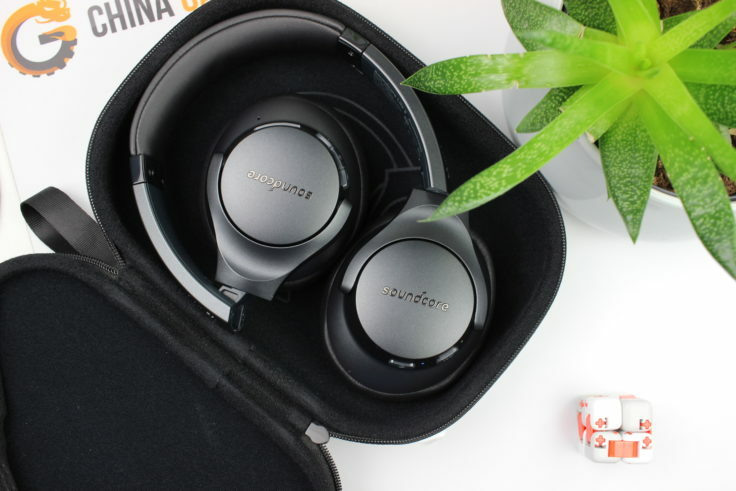 The Active Noise Cancelling itself is solid, it reduces background noise noticeably and is effective with monotonous noises. With less monotonous noises such as conversations or generally noise at higher frequencies, the ANC works worse. Unfortunately, the wheat still separates from the chaff and only the top models from Bose or Sony manage to achieve good results. The headphones are equipped with a total of five control buttons, with the ANC and On/Off buttons on the left earpiece. The louder/quieter and play/pause buttons have been implemented on the right earpiece. All buttons work fine under both Android and iOS, there’s nothing to complain about – very good! 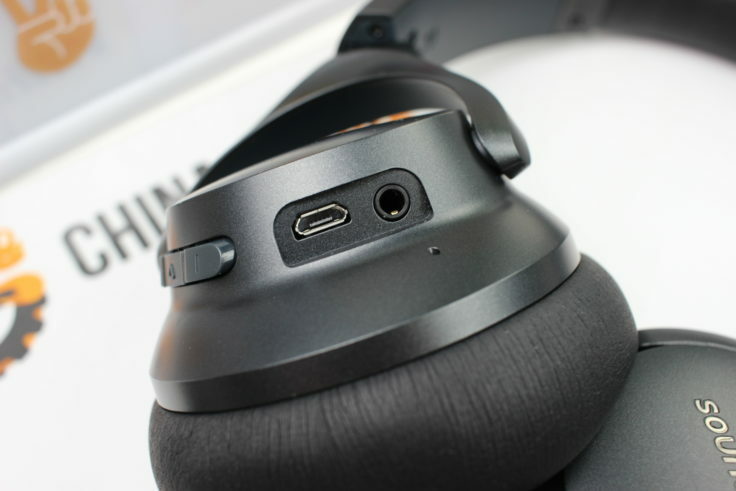 The built-in headset microphone is equipped with Qualcomm’s cVc noise reduction. This is designed to minimize background noise while you’re on the phone, so the person you’re talking to can hear you best. In practice, this worked quite well for my test calls. Although my conversation partners did hear background noises during phone calls in the city centre, they did not hear them in too disturbing a way. In quieter environments, you hardly notice a difference between the headset and the smartphone itself. Pairing via Bluetooth works smoothly in the test, with Android and iOS. The re-pairing with another smartphone is especially easy. In contrast to other models, the headphones do not have to be switched off for this, but a long press on the Play/Pause button is sufficient. In the test, the Bluetooth connection remains stable and trouble-free at a distance of about 9-10 meters. In closed rooms the range is correspondingly lower, but still perfectly sufficient. In the test battery in Bluetooth mode was sufficient for about 23 hours listening to music with ANC switched on, at a volume of about 50% – 70%. If you use the headphones wired, you can even use ANC for about 50 hours. The microphone is located below the jack connector. The complete charging process takes about 2.5 hours, whereby the charging time can vary slightly depending on the socket adapter used. The Anker Soundcore Life 2 scored well in the test with its good workmanship and material quality. It sits comfortably on its head and thanks to the memory foam used for the ear cushions, it provides good shielding even from the start. The ANC headphones offer a balanced sound with clear highs and solid midrange. In the bass range, thanks to BassUp mode, you have the reins in your hand and can decide whether you want a little more bass or not. I personally like the BassUp mode very much, it gives the ANC Over-Ear a nice depth, even in the sub bass it comes across powerful. The built-in Active Noise Cancelling reliably reduces especially deep and monotonous background noise. With less monotonous noises this works audibly worse. It’s quite good for a China headphone, but the Anker Soundcore Life 2 doesn’t play with the “big ones”. In addition, the ANC changes the sound of the over-ear, which is also not optimal. In relation to the price/performance ratio, the Anker Soundcore Life 2 is a good choice and it should be clear that a ~$90 over-ear cannot compete with a ~$300 model. If you’re looking for a solid headphone with ANC and balanced sound, you definitely won’t go wrong! I really would buy THESE to replace my 15yr old Sony headphones. Modern spec, modern styling,great price! !